Since the very early days of building our first network, we’ve relied on our own planes to help our engineers with their work. What started with small single propeller planes, has now evolved into a fleet of two larger planes, each with its own specific equipment to aid with network development and testing. 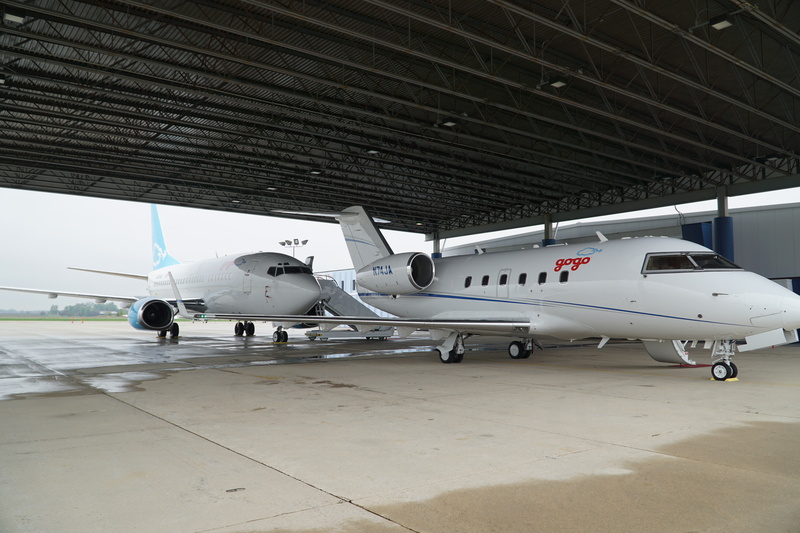 The two planes in our test fleet are a Bombardier Challenger 600 and a Boeing 737-500. While having these planes at our disposal may seem like the ultimate toy, the planes are primarily used by our engineering teams for network testing and development. Other uses include airline demo flights by our international sales team and by our IR/PR teams for media and investor demonstrations, like our recent 2Ku media day. 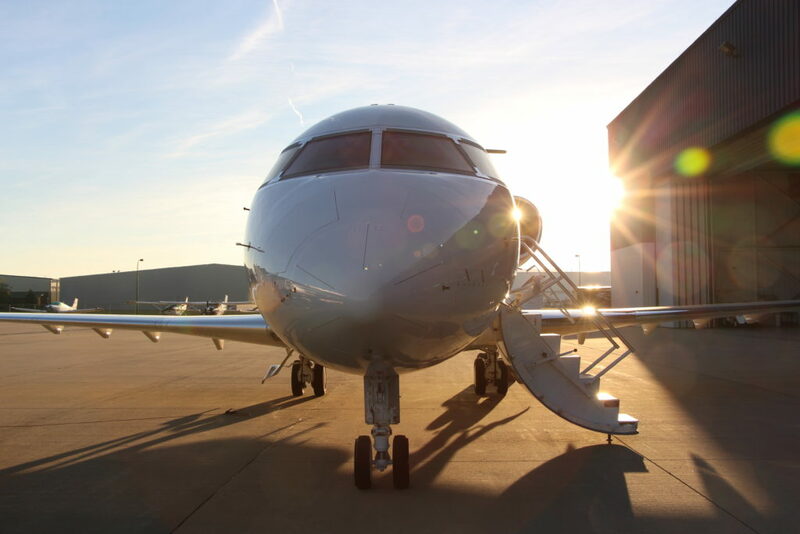 Our Challenger 600 is primarily used by our business aviation team to test their specific technologies: ATG, GogoBiz4G, Iridium and SwiftBroadband. These technologies are what we sell to business aviation operators. Our Boeing 737 has been flying with us since 2014. After some extensive refurbishments, we flew the plane to one of our installation sites where we outfitted it with our 2Ku satellite internet technology (seen in the video above). 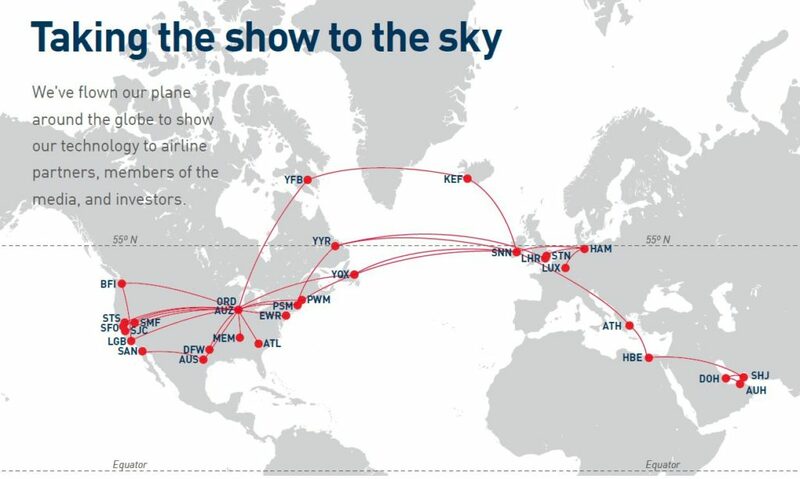 The plane now flies around with ATG-4, 2Ku, Gogo TV (live IPTV), Gogo Vision (streaming entertainment) and Iridium phone service. Additionally, the plane is in use as a flying test lab for our connected aviation solutions, allowing our developers to create the next generation of airborne connectivity products like cockpit weather and turbulence tracking. Almost every seat on the plane has a power outlet, and specific seats up front have Ethernet ports designed to let our engineers directly access in-flight testing equipment. In a normal week, our planes will make one or two flight tests, and will usually be put to work for ground based testing during the rest of the week. These flight tests allow us to take the plane where it is needed – which could be as simple as a quick connectivity test around our base airport, or on a more extensive trip as far as the Middle East to test regional satellite coverage. Of course, the experience of flying a private plane is something you never forget. Most private airports are quite luxurious, offering plenty of quiet places to sit while you wait for your plane. Then when it comes time to board, you don’t need to fidget with boarding passes, and there is seldom security present. At most airports, luggage will have been collected at the front door, and driven directly to the plane for you. The experience of working to test our service on our 737 can be found in this recent Concourse article.